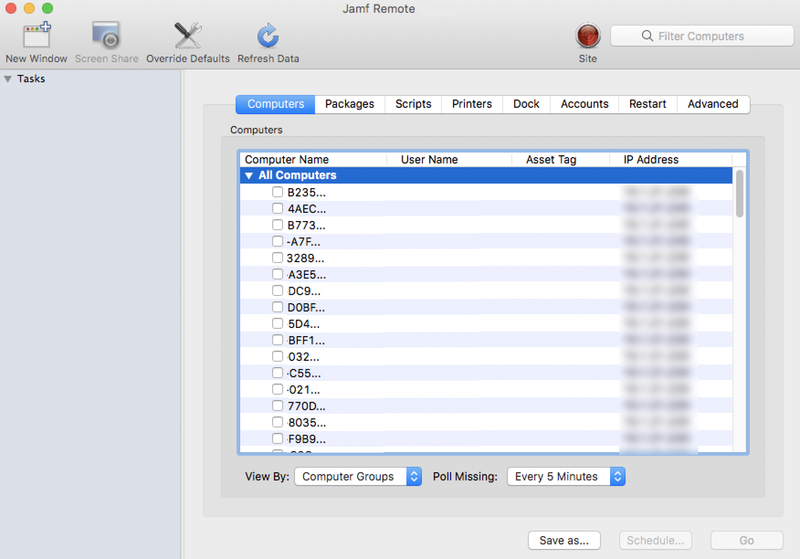 There are two ways to map or unmap printers on computers: using a policy or using Jamf Remote. Note: You can also map printers during imaging. For more information, see Configurations. When you map a printer, you can choose whether or not to make the printer the default. Select the Printers payload and click Configure. Click Add across from the printer you want to map or unmap. Choose "Map" or "Unmap" from the Action pop-up menu. (Optional) If you are mapping the printer, make it the default printer by selecting the Set as Default checkbox. 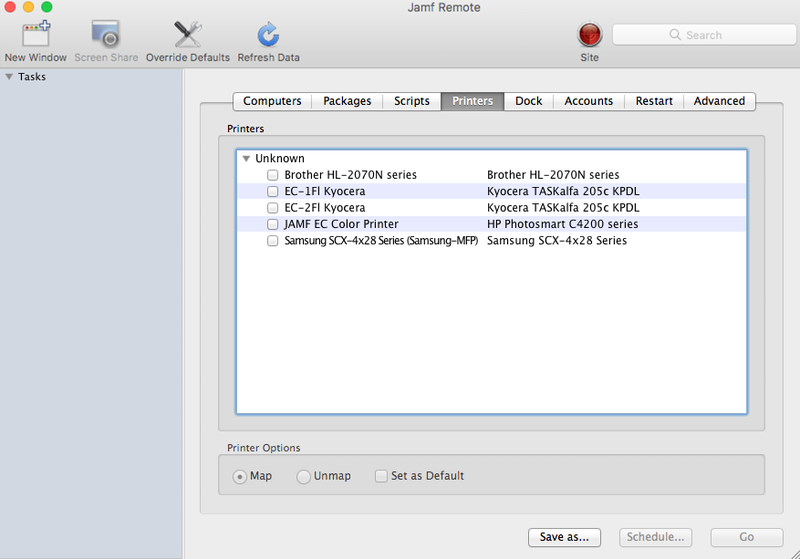 In the list of computers, select the checkbox for each computer on which you want to map or unmap the printer. In the list of printers, select the checkbox for the printer you want to map or unmap. Select the Map or Unmap option. 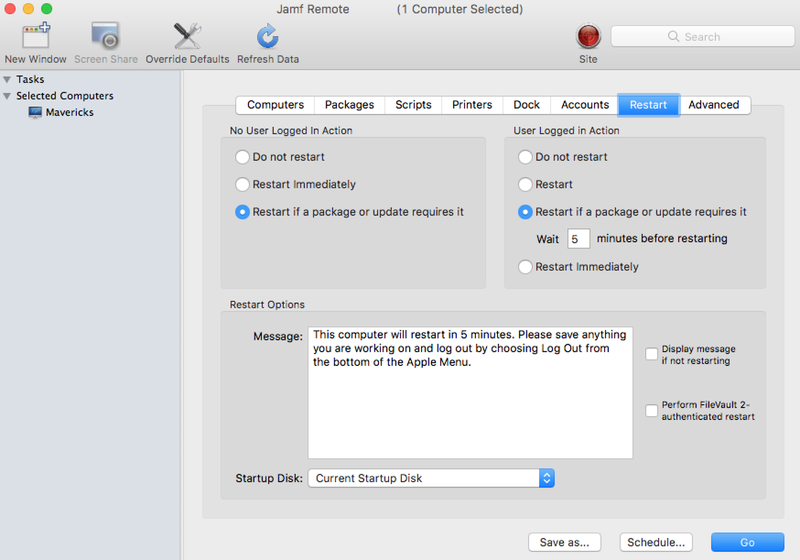 (Optional) Make the printer the default by selecting the Set as Default checkbox. You can create smart computer groups based on mapped printers.